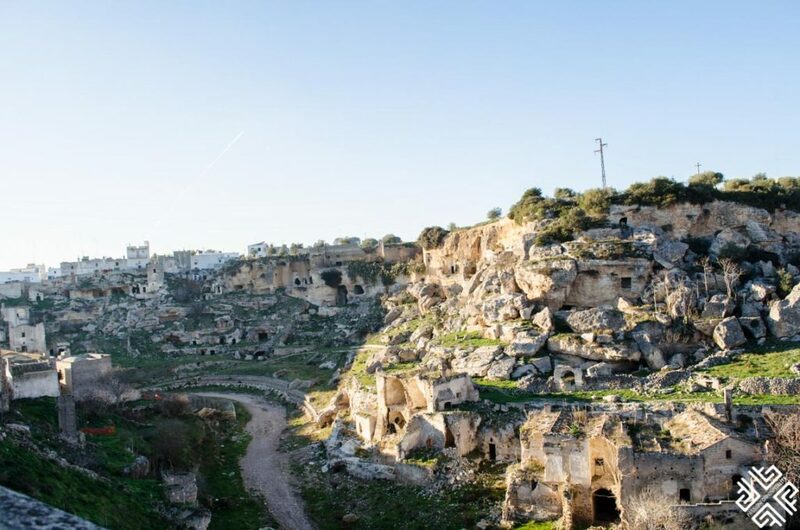 The picturesque community of Ginosa is one of those places which are still undiscovered. 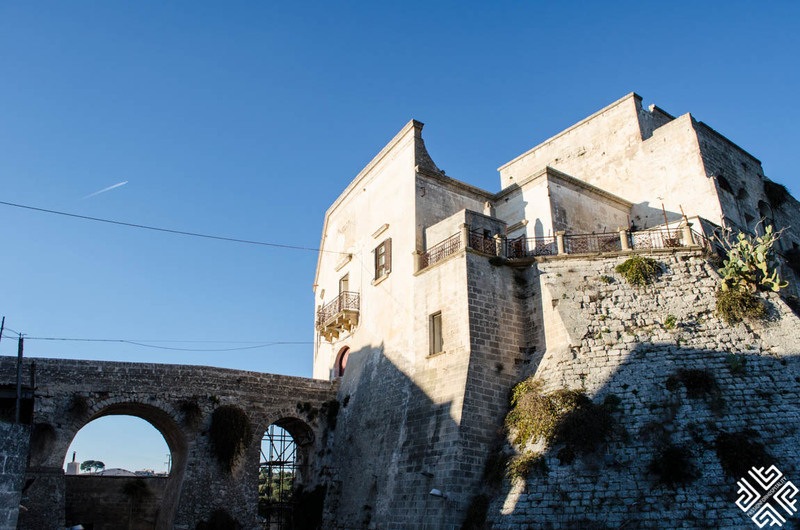 Situated just a little over an hour’s drive from Bari — it has managed to preserve its unique traditions, breathtaking landscape and warm hospitality. 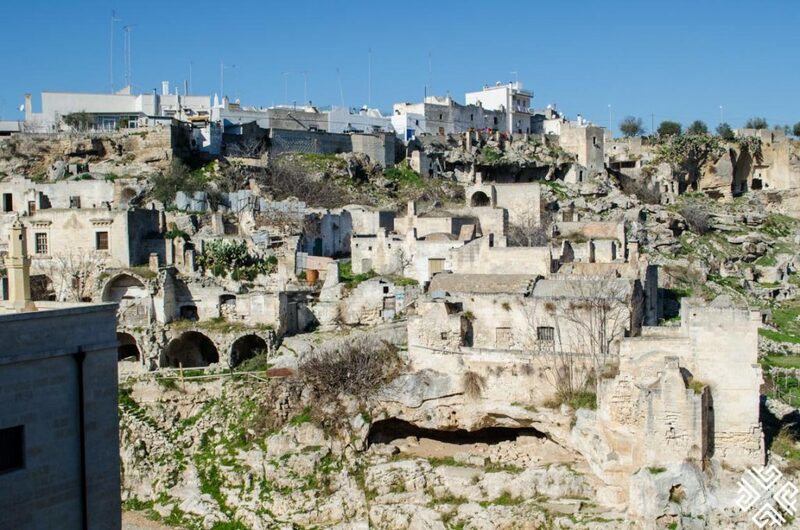 During our trip to the region of Puglia, one of the highlights was staying in the cave dwellings of Ginosa. 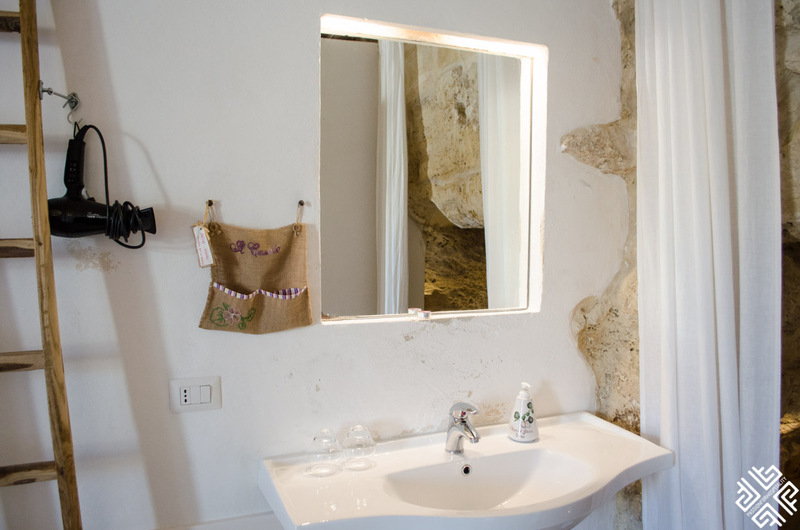 The Il Casale is not your typical one block building but rather a collection of smaller houses (cave dwellings) which sprawl between two hilly alleys and this is what the name albergo diffuso implies. 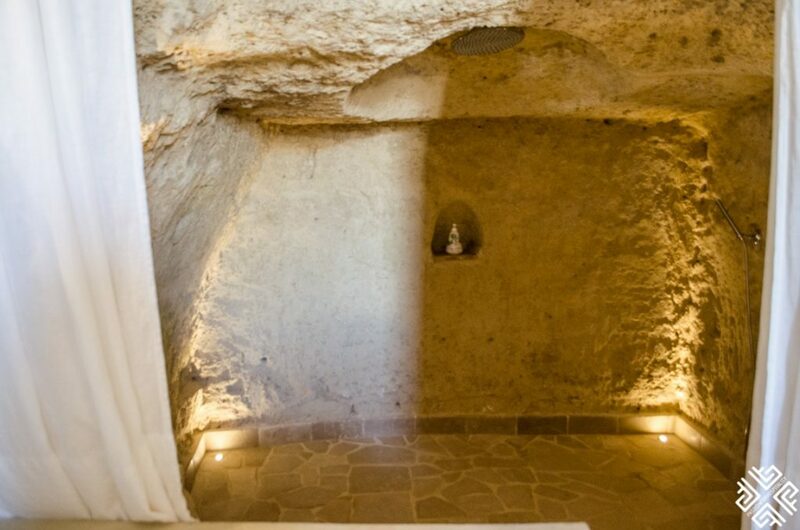 Set across from the impressive ravine, the Il Casale offers breathtaking views of the historical grottos which dot its majestic landscape. 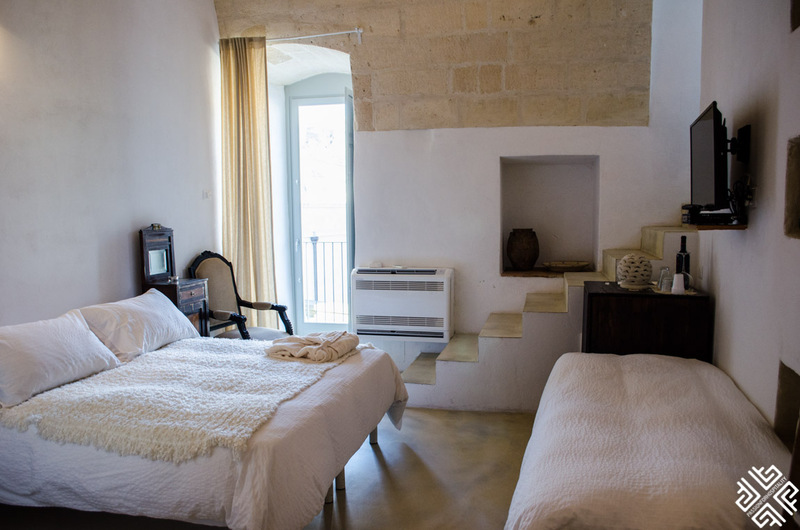 Every accommodation is different, each historic limestone building has its own unique story which has been turned into a comfortable cave or vaulted guest room, featuring all the modern amenities intertwined with the timeless tradition of Ginosa. 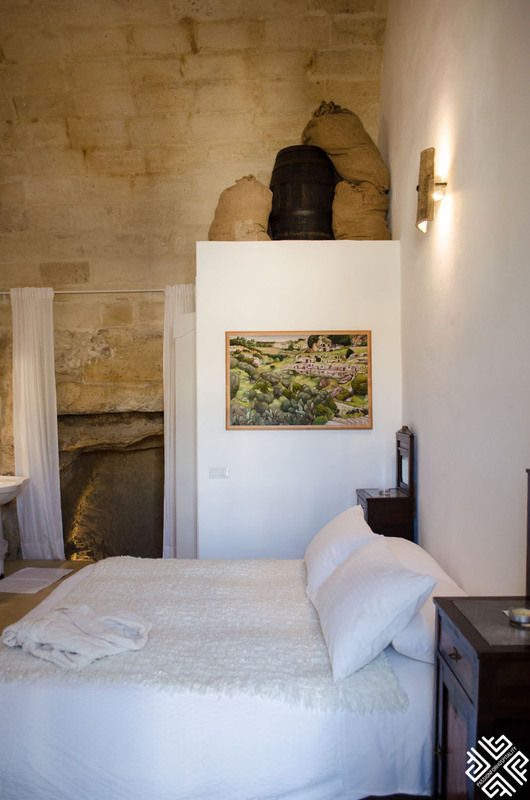 The property is owned and managed by Mario and his wife Antonella who have restored the ancient cave-dwellings, turning them into a remarkable accommodation option for visitors who wish to experience the unique traditions of Ginosa. 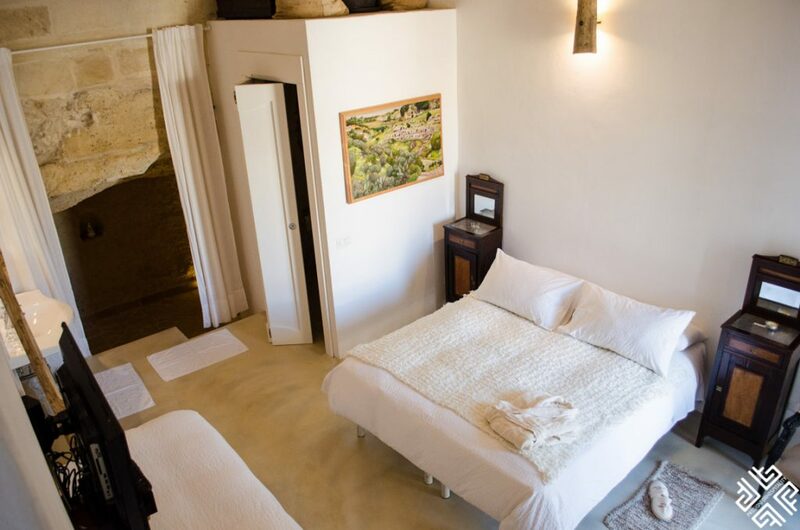 The rooms are decorated with natural materials which perfectly blend in with the surrounding natural environment. 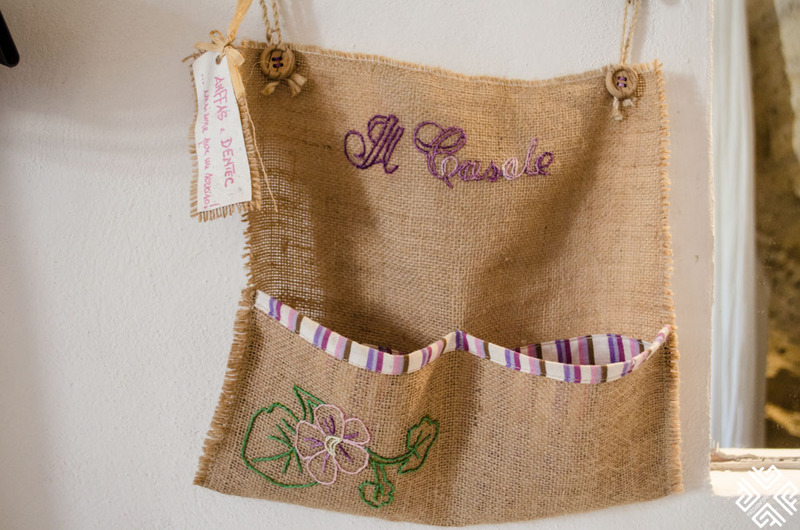 White-washed walls, hand-woven rugs, antique furnishings, embroidered curtains and small little details which are all done by Antonella herself. 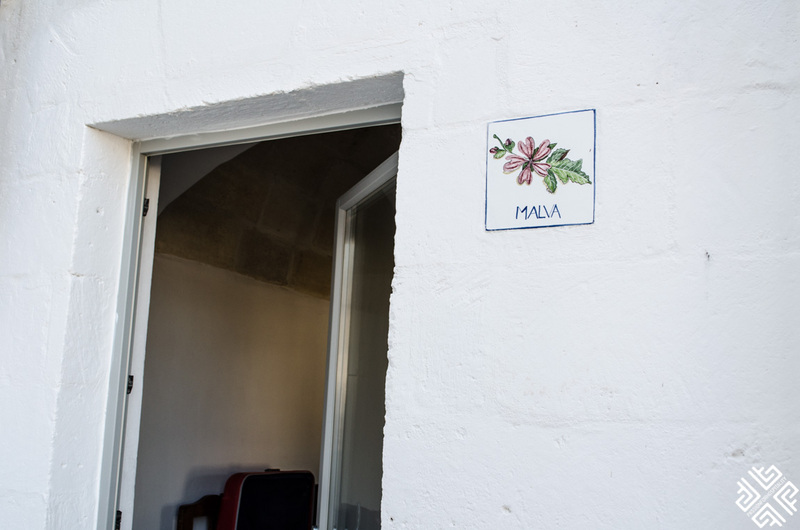 My guest room Camera Malva was a cave-dwelling or a casa grotta in Italian, located on two levels and could be accessed from the side street, to reach it you had to walk down some stairs which are closed-off by a gate. You get a key to lock the metal door in order to have absolutely privacy. 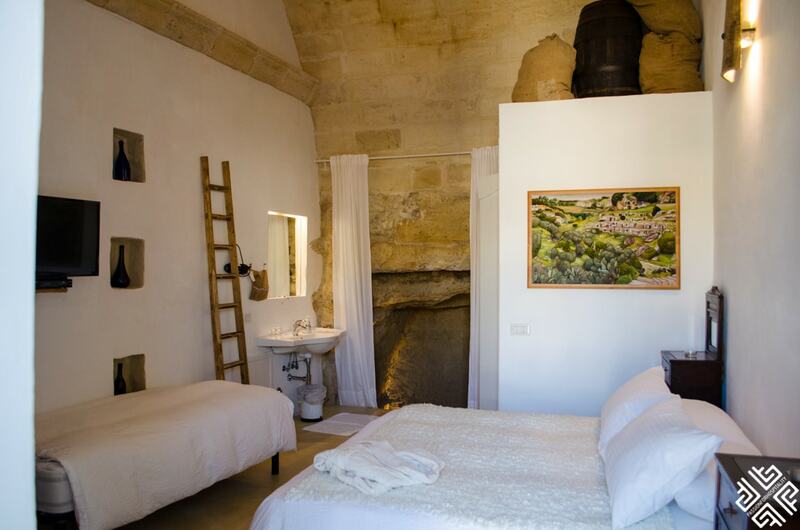 The top level was a small room with a table and an open-style wardrobe which was connected to the ground level by a flight of stairs which was the main bedroom with a spacious cave style shower. 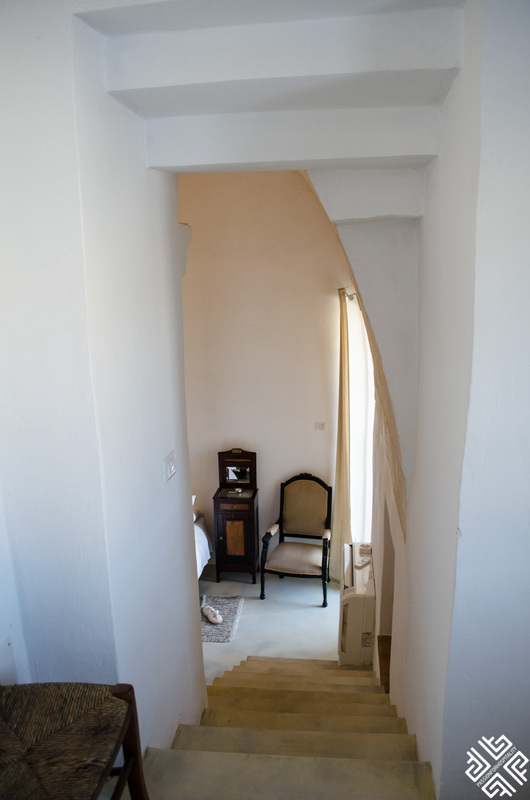 The accommodation is suitable for three and has one double bed and a single bed. The views opened up to the ravine. 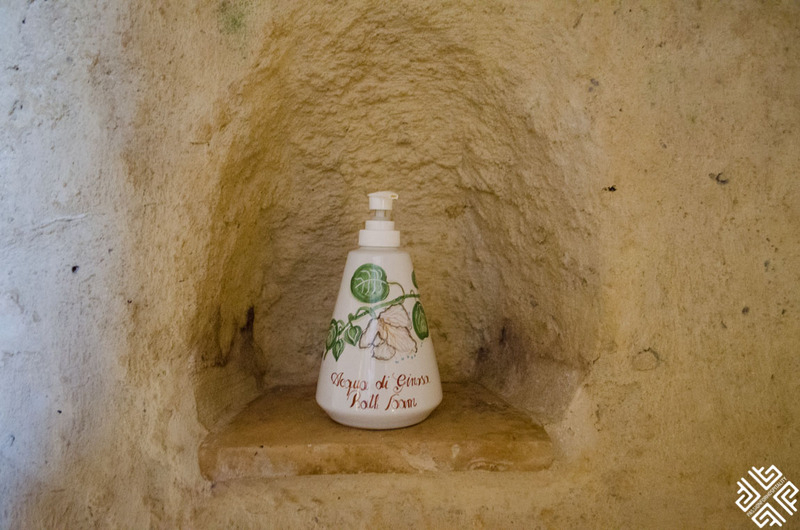 The only toiletries provided in the room is a soap made out of capers flowers. 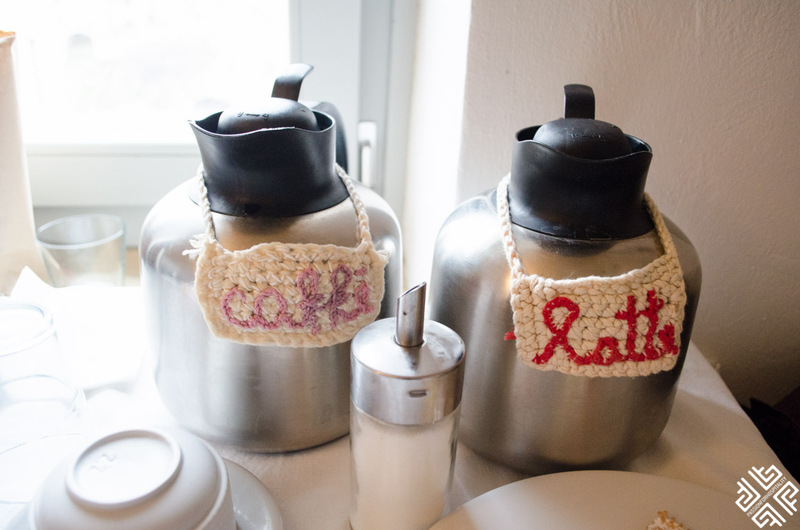 There is a good hairdryer but you must bring your own shampoo and conditioner. Other amenities include a bathrobe and beautiful slippers. 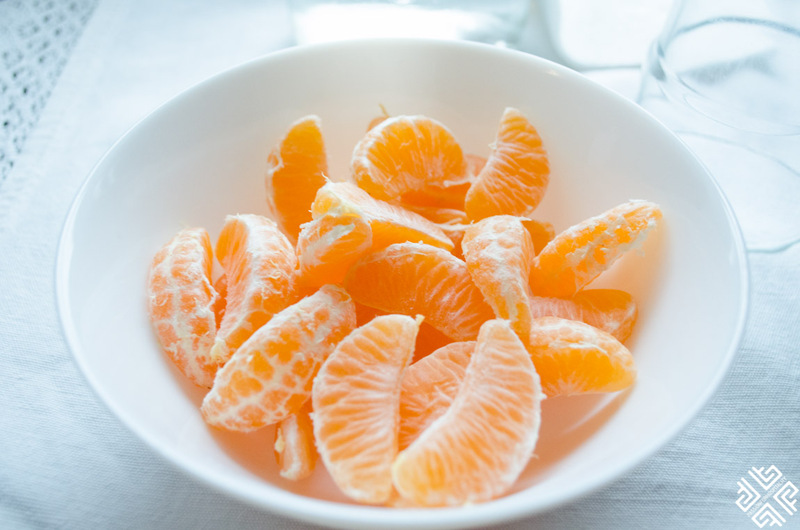 During the warmer months as Mario explained breakfast is served on an outdoor terrace overlooking the ravine, during our stay we were spoilt with an in-room breakfast experience. 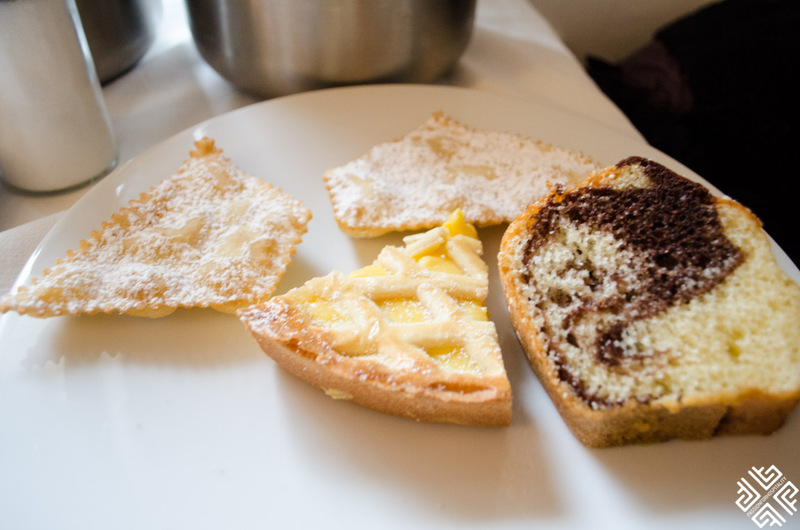 Every day we were served with different delights which consisted of fresh focaccia from the nearby wood-oven bakery Panificio Piccolo, selection of salami and cheeses, fruit tarts, fresh fruits, a creamy dessert called tette delle monache which translates as the nuns’ breasts and freshly brewed coffee of course. 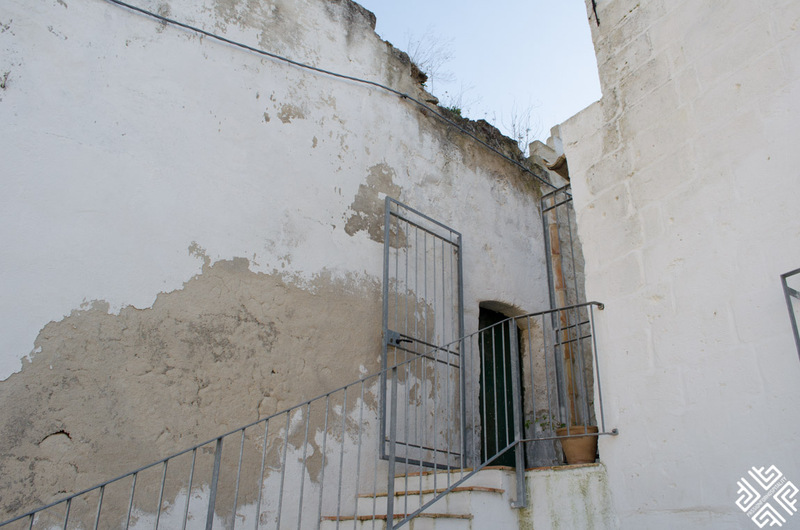 At the moment works are in progress of finalising the in-house restaurant which will have a wine cellar and serve spit-roasts prepared on an open fire. It should be complete and open during the summer season of 2018. 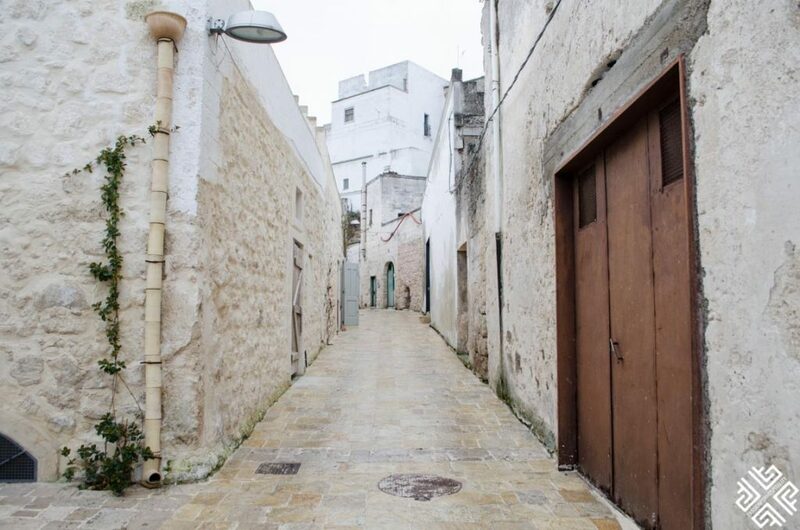 Il Casale is located in the old quarter of Ginosa at a close walking distance from the center of Ginosa where you will find all the stores, coffee shops and restaurants. 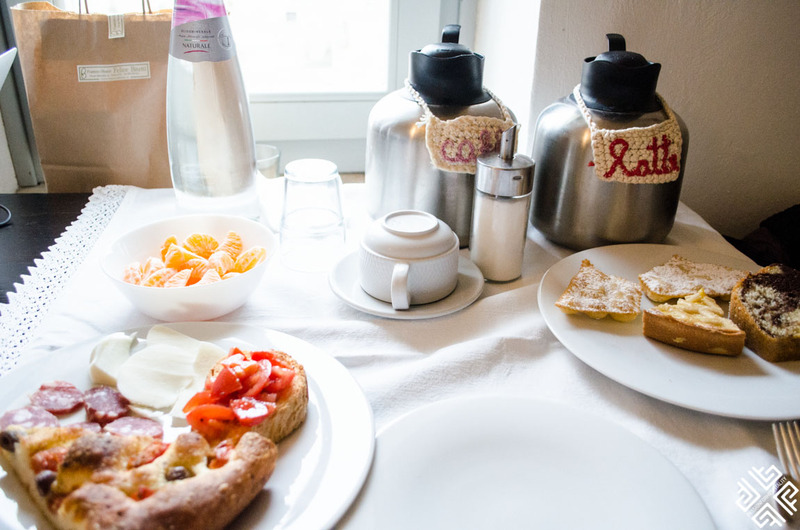 It is also located a short proximity from the wood-oven bakery Panificio Piccolo. 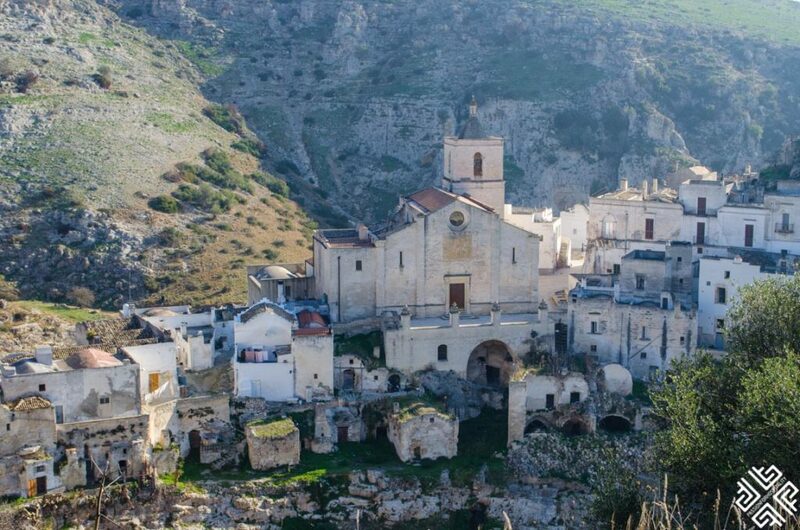 From here you can also easily walk to the ravine and explore the ancient cave-dwellings and ruins of Rione di Rivolta, the Norman castle which is one of Ginosa’s most imposing landmarks and finally the Chiesa Matrice, a grand 16th century church which has faced numerous changes over the centuries. 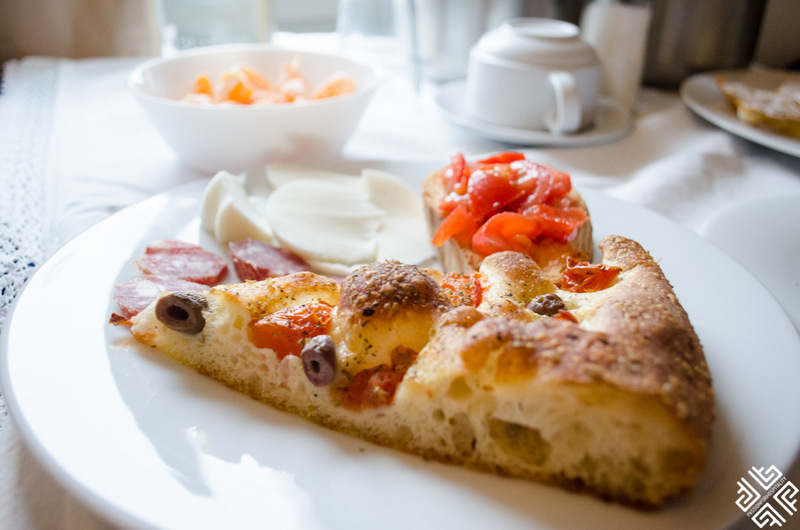 Have you been to the South of Italy? 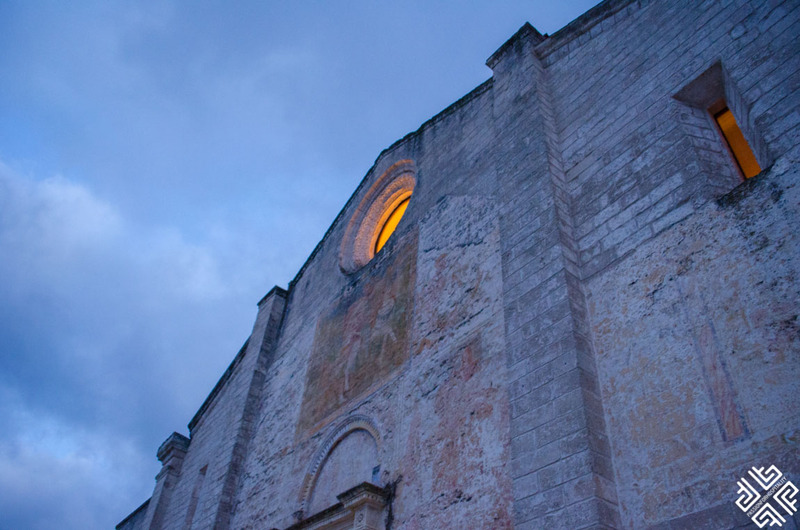 Which towns did you visit? 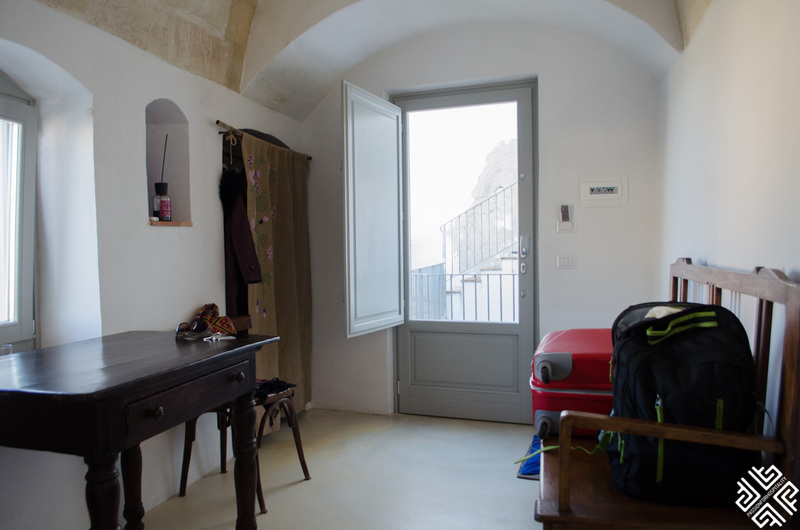 If you do visit Ginosa, staying at the Albergo Diffuso Il Casale is highly recommended.